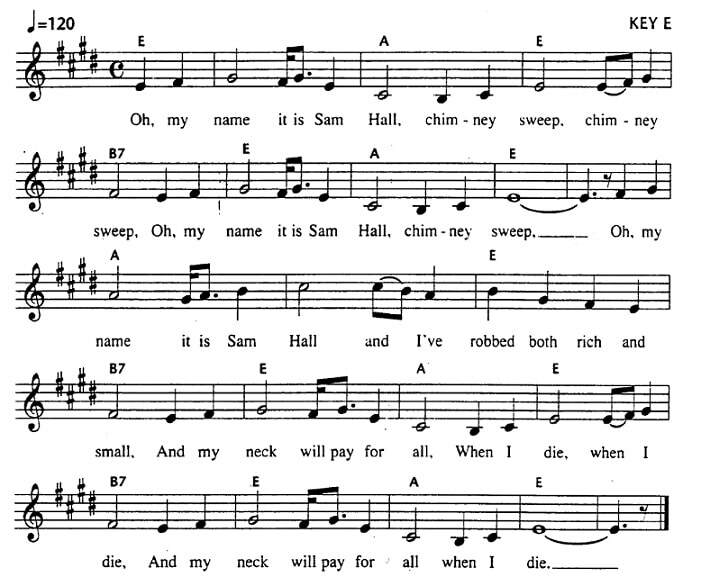 Sam Hall is a traditional song with versions found in America, Britain and Ireland. This version is the one from Ireland. Coothill is in Co. Cavan. I have included the tin whistle notes and sheet music. The youtube video is of myself and I'm playing guitar in D.
And me[D] neck will pay for[G] all when I[D] die,when I [A]die. For the best of friends must part,so must I. And ne'er a word I spoke tumbling down. Alternative Guitar Chords For the key G.
And me[G] neck will pay for[C] all when I[G] die,when I [D]die.